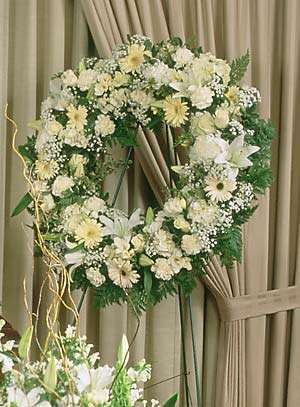 A truly memorable expression of your love arranged in a wreath filled with all white blossoms. Approx. H 36" X W 36"